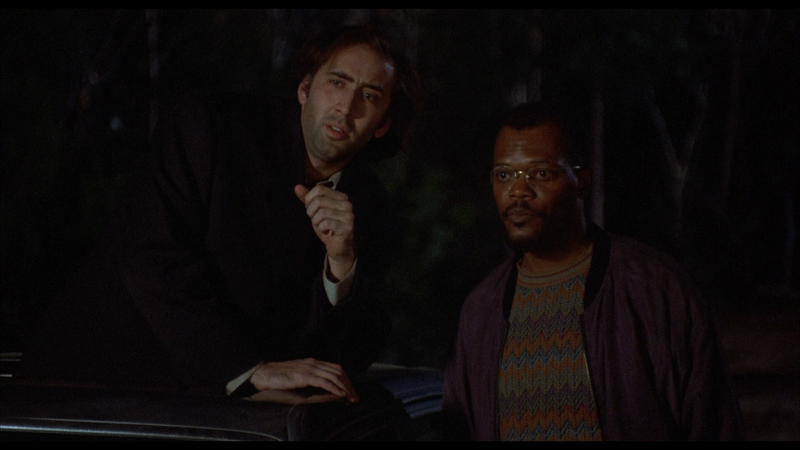 The satirical farce Amos & Andrew centers on Andrew Sterling (SAMUEL L. JACKSON), a renowned black playwright who has no idea what’s in store when he purchases a home in a predominantly white suburban enclave. He is suspected as a burglar while moving in and finds himself on the receiving end of the law in a show of force more in line with a hostage situation. 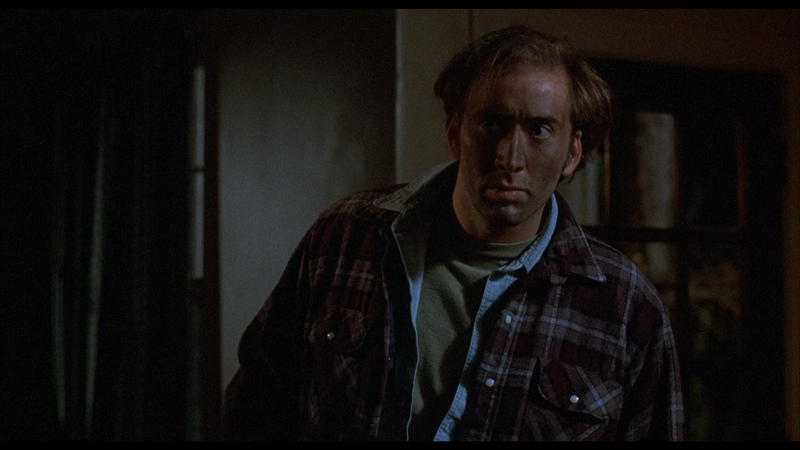 Realizing what could become a public relations nightmare, the police chief (DABNEY COLEMAN) strong-arms hapless car thief Amos (NICOLAS CAGE) into holding Andrew hostage, the outcome of which will ultimately show the town’s true stripes. 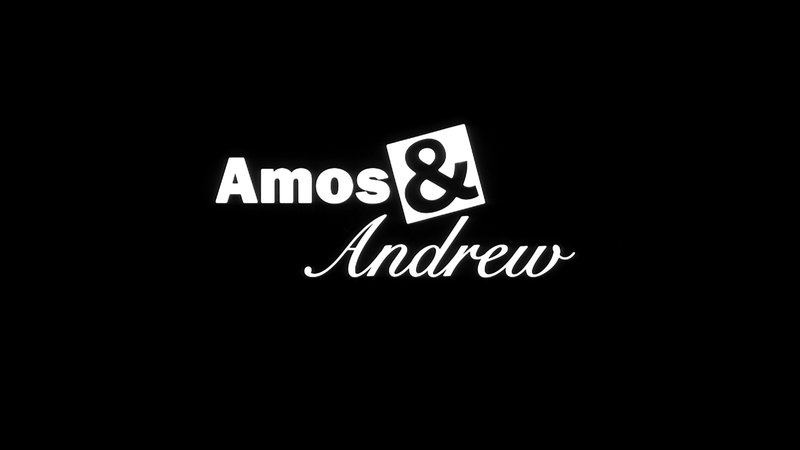 Amos & Andrew storms onto the scene via Olive Films presented in its original 1.85 widescreen aspect ratio and a 1080p high-definition transfer. Although hardly great, and there were some instances of scratch marks here and there, but for the most part it looks fine: detail is decent enough and colors appear fairly natural. The movie comes with a basic but serviceable DTS-HD Master Audio 2.0 track which isn’t exactly rich or anything but does at least provide for clear dialogue. 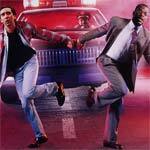 Any of the more action-centric scenes or even score is flat, however. It’s nothing extraordinary and maybe a slight step up from previous releases, yet it’s should be more than adequate. 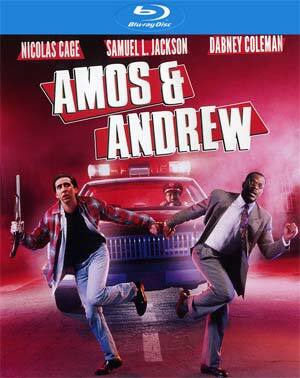 Overall, Amos & Andrew is kind of a lost comedy from the 1990s (akin to Quick Change and Another Stakeout) and although it’s not hilarious, it is a lot of fun to watch two normally over-the-top actors playing against one another in Nicolas Cage and Samuel L. Jackson and add in Dabney Coleman and it’s rather entertaining. This catalogue released by Olive Films has good video and audio transfers but lacks any bonus material.